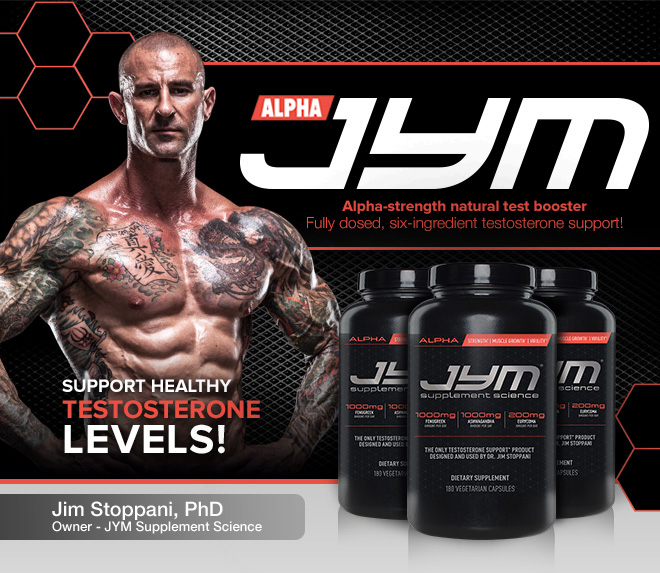 When you read the label of Alpha JYM, you'll see that it provides a total of 2100 mg (2.1 grams) of active ingredients per dose. When you take it twice per day as directed, it delivers a total of 4,200 mg (4.2 grams!) of active testosterone-supporting ingredients. And these ingredients don’t include common vitamins and minerals like vitamin D and zinc, like many “testosterone boosters” provide. Why? Because you should get your vitamins and minerals separately!